April 26, 2010  The powerful Legionaries of Christ has admitted sexual abuse by its founder Father Marcial Maciel. The Vatican ordered an investigation into the group last year, and results are expected to be released soon. 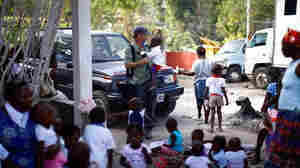 March 19, 2010  All of the 33 children that U.S. missionaries tried to take out of Haiti after the deadly January earthquake have been returned to their parents. 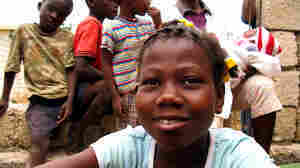 But at least one mother says that she would consider giving up her children for a better life elsewhere than subject them to the desperate living conditions in Haiti. 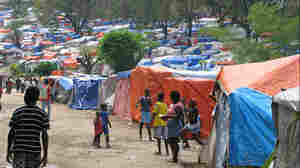 March 18, 2010  In Haiti, heavy rains are expected to begin soon, and aid groups and the government are in a race against time to move hundreds of thousands of tent-camp residents who could be at particular risk. Yet the process of relocating the quake victims has been extremely slow. 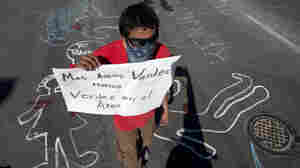 March 15, 2010  In the throes of a vicious drug war, Mexico's border city of Juarez — with its endless wave of kidnappings and executions — has become one of the most violent places on earth. The city is shouldering unfathomable sorrow, and its mothers are the most public face of that suffering. March 8, 2010  The outcry from the late January deaths of 15 young people in Juarez has led President Felipe Calderon to pledge to pump millions of dollars into civic programs in what's become one of the deadliest cities in the world. 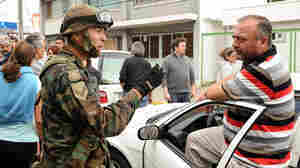 March 8, 2010  Chile was hit by one of the most powerful earthquakes ever recorded more than a week ago. Chile's strict building code, its long experience with earthquakes, its wealth and resources have all allowed it to cope well with a quake that could have devastated the country. 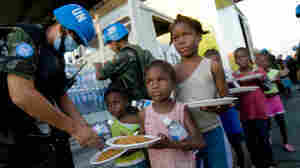 Many have noticed the differences between Chile and Haiti's quake in January.